This may perhaps be the best time since the nineties for fighting game players. Countless franchises are being revived while even new ones are starting to sprout up. Soul Calibur is a fighting game franchise by the same developers behind Tekken, instead taking place in the early modern age and emphasizing weapon combat. It too is receiving a new installment. As an interesting side note, Soul Calibur VI will also feature Geralt, from The Witcher franchise, as a guest character. 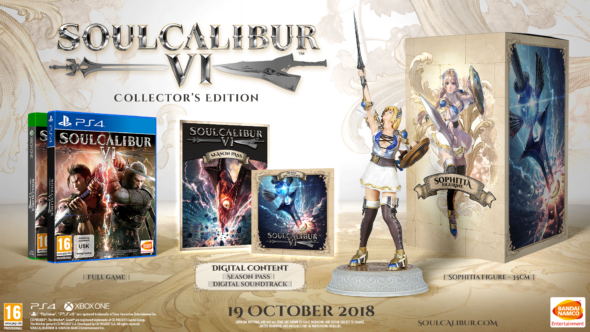 Keen fans will have already had their eyes on Soul Calibur VI since it was announced earlier this year, and now Bandai Namco has revealed it is set to release on October 19th for PS4, Xbox One, and Steam.